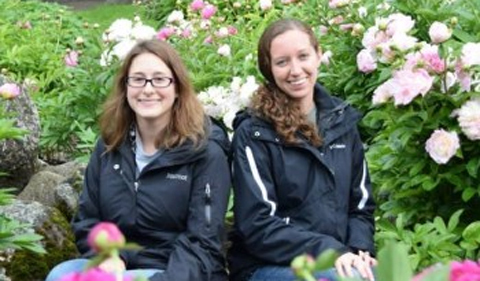 Ohio University alumni Jen Bauer and Adriane Lam were quoted in a story headlined “Time Scavengers and Science Literacy: 6 Tips for Creating Online Resources ” that appeared on The Bridge: Connecting Science and Policy. With the rise of social media and other web platforms, science — or false information disguised as science — spreads rapidly. Scientists have taken it into their own hands to control the narrative and show the real-world applications of their work through web mediums such as blogs and YouTube. To learn more about the behind-the-scenes efforts of running a site and discuss the importance of science literacy, we chatted with Adriane Lam, PhD candidate at the University of Massachusetts Amherst, and Jen Bauer, postdoctoral associate working at the Florida Museum of Natural History, who run Time Scavengers along with a team of editors and collaborators. Time Scavengers is an online resource for all audiences to explore topics from general Earth science concepts to evolution. Adriane was inspired to launch a science communication project after seeing media and political candidates misconstruing issues surrounding climate change during the last presidential election. She began working on a site aiming to explain the concepts behind climate change and evolution. The idea began to evolve, and she reached out to her former classmate, Jen, who worked with her in Alycia Stigall’s lab at Ohio University, to help her take on the project. Six months, hundreds of texts, and hours of Google Hangouts meetings later, the ‘Climate’ and ‘Evolution’ static pages along with their first few blog posts were launched. Since then, they have released over 100 blog posts and added the ‘Byte of Life’ series, where they discuss how to navigate academia at a variety of levels. They have plans to launch more static informational pages, a YouTube channel, and a series featuring international scientists in their native languages. Read more at The Bridge. Connect with Bauer on LinkedIn. Connect with Lam on LinkedIn.